Enjoy our most treasured Homecoming tradition — the parade — with more than 50 floats, Homecoming royalty and the Pride of Arizona marching band. Bring the whole family to take in the Homecoming spirit! 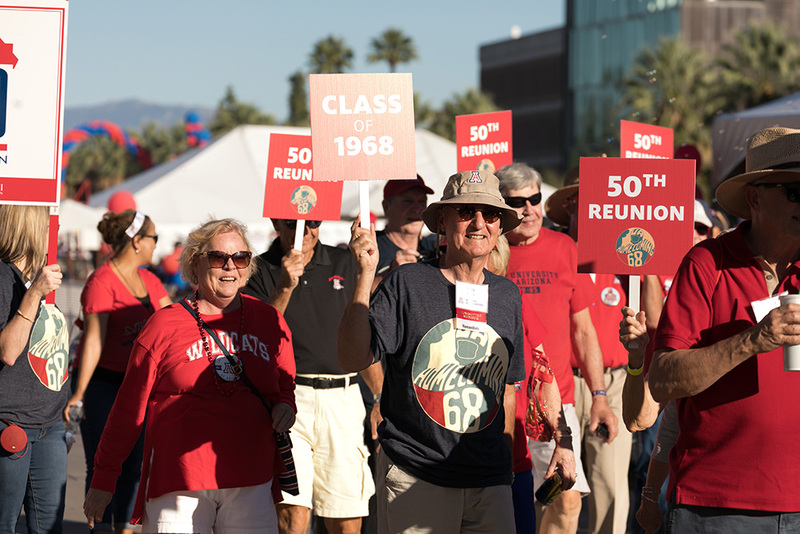 The Class of 1969 will walk together as honored guests in the Homecoming parade. Plan to show Wildcat spirit by wearing a red shirt. Please note: Golf carts will be available for those unable to walk to duration of the parade. If you would like to be included in the parade, but have limitations, please reach out to Kristen Fought, reunion coordinator. Kristen can be reached at 520.626.3835 or kristen.fought@al.arizona.edu.